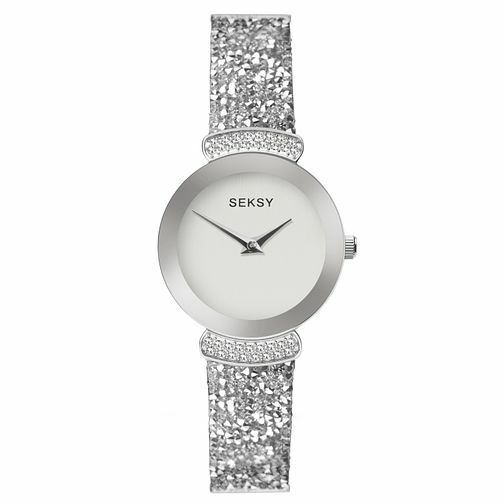 This statement Seksy Rocks® bracelet watch will definitely make you stand out from the crowd. This timepiece features a rhodium plated stone set case showcasing a complementing silver brushed dial. The watch is fastened with a rhodium plated bracelet and white leather strap embellished with stunning crystal ultra-fine rocks from Swarovski®.